AADI DHARM SAMAAJ 'AADHAS' is not an organisation rather it is a Social,Cultural,Spiritual and Educational Movement of oppressed among Aboriginals (Dalits as they are called today), who were the Original inhabitants and once the Rulers of Bharat/India before the advent of Aryans. Aadi Dharam Samaaj 'AADHAS' is Revolutionary Movement and came into existence in 24 september,1994 and is now operating as a wide network from North to South, Jammu & Kashmir till Andhra Pradesh and from Rajasthan (in the west) to West Bengal (in the East) .This movement is built around weaving an aboriginal past, similar to Dravidian movements of South India & Naagvanshis of North India,whereby section of Valmekins through reformulating the ideas about past seek to renegotiate their present which is rooted in their everyday experience.It is being accomplished through writing of a new tract, a new flag [sky blue], a new symbol Aadi Paavan Satya (V), new rituals Yogamrit (Satsang) Aatamyog (Vivah-Nikah marriages) and inventing a new calendar through naming the days and months of year more in tune with the Aadi-Culture.This process of reformulation of the past involves the repositioning the figure of Lord VALMEKI as Aadi-Guru,Srishtikarta Valmeki Dayavaan, the first among the lineage of the Aadi-icons from the Aboriginal Golden Age when the ‘Aadi’ people ruled before the advent of Aryans in India. This advancement from faded identity to Acceptance of Dignified Dalit Identity based on the teachings of Srishtikarta Valmeki Dayavaan and Dr.Bheem Rao Ambedkar ji is the main aim of AADHAS for wholistic development of Valmekin Samaaj or popularly known as Safai Kaamagaar Samaaj.The path of education is indicated by tha 'KALAM' [The Pen] in Kamleshvars [Srishtikarta Valmeki Dayavaan ] hand and as said by Dr. Ambedkar,"Educate, Organise and agitate ". AADHAS under the esteemed and precious guidance of Param Aadaraniye Darshan 'Ratna' Ravaan ji (chief of AADHAS) aims to eliminate ill practices like drug addiction, illiteracy and superstitions from the Valmekin Samaaj in particular and society in general as the three have been the root cause for backwardness and neglect. With the hard work and concentrated efforts alongwith cooperation from likeminded people AADHAS aims to establish a Self-made , independent ,educated ,well awared Valmekin Samaaj aheading towards GLORIFIED and PROSPEROUS future,where all are equally looked upon with respect and opportunities are available at level playing field.AADHAS is working to bring Dalit of Dalits under one name and banner with one Identity ,who otherwise are known by different names like Dhom, Mehtar, Chura, Lalbegi, Mahar, Khakrub, Mazahabi, Mehtar, Bhangi, Mang/Maatang Jadamali, Relli, Musaihar, Arunditiyaar etc,in different states of the country. By foregrounding the figure of Lord Valmeki as the first and supreme Figure in the long lineage of the Anarya or Aboriginal or Adivanshi Icons, the Aadi Dharm Samaaj 'AADHAS' seeks to create a separate identity for all S.Cs.& S.Ts. as a community. This separation is asserted by dissociating the figure of Lord Valmeki as primarily a Hindu icon.Thus Lord Valmeki becomes a precursor to the long lineage of Aadi icons such as Maha muni Shambook, Mahatma Raavan and Veer Eklavya in sharp contrast to Hindu imagery of Lord Valmeki as just the creator of the epic ‘Ramayana’. Ramayana as Hindus preach is based on Bhagyavaad (luck/fortune) but Ramayana as composed by Srishtikarta Valmeki Dayavaan is based on 4 -Purushaarths (Dharm, Arth, Kaam and Moksha). The followers of Aadi Dharm Samaaj 'AADHAS' use certain expressions denoting their Aboriginal past after the names of the Brave men and women who sacrificed their lives for the upliftment of the Adivanshi and themselves were known for their wisdom being from the Aadi Samaaj.The most commonly used titles are Adivanshi, Daitya, Daanav, Anarya, Shambook,Lankesh,Bheel,Meghnaad,Achhoot,Shudra, etc. Women are given names as Tungbhadra, Keksi, Tamsa, Vrinda, Pracheta,Sujata etc. while formally addressing a fellow follower term Veer (Brave man) is used for male ,Veerangi (valiant woman) is used for females.According to Aadi Dharma Samaaj 'AADHAS' legends like , Maa Tungbhadra was wife of Mahamuni Shambook.Maa Keksi was the mother of Mahatma Ravaan. These names are not just named but are respected and accepted also for the glorification of Aboriginal past and as inspiration for the present day youth.The first person to accept this is Param Aadarniye Darshan 'Ratna' Raavan ji.He came to be known as Raavan Ji when he accepted the Title on 9thNovember 1986, when second cycle rally was organised by him towards VALMEKI TEERTH, Amritsar. These Dharm Samaaji names are assigned to build thoughts and character of the concerned personality and to work for the upliftment as they did. 'AADHAS' has published a small version of YOGAVISHISHTTHA, AADI NITYANEM which is a summary of the Yogavishishttha written by Lord Valmeki to achieve MOKSHA through PURUSHARTH (freedom from worldly desires and to be one with Alimighty). Followers of AADHAS recite this NITYANEM day to day and on special occasions. Spiritual and religious gatherings are known as YOGAMRIT (satsang) and the religious place of worship is named as ANANT (Aadi Dharm Temple) as we bow to the ANANT (Immortal Almighty). The marriages performed in the way prescribed by AADHAS are known as AATAMYOG, as two souls come together to carry on the Lords’ Creation.These marriages are performed in special way where 4-vows are exchanged by the couple and their families too. This totally unique names,rituals and customs are meant for restablishing the Unique and Rich Culture that existed in the Glorified past. AADHAS is also working for liberation of the all Valmeki Teerthsthalas existing in India which are yet under the bonds of Orthodox Hindus. AADHAS is not just confined to awareness and awakening but it works in the field.It awakens us about the injustices that we ( Valmekin Samaaj) faced in the past and prepares us for agitation for our rights at the same time.It just not preaches but acts too.AADHASs commitment is justified from the incidents of Gohana and J&K. In 2007,in Gohana (Haryana) when many Valmekin comunity houses were set on fire it was due to the efforts of AADHAS that Haryana govt. was forced to conduct a CBI inquiry in the Gohana fire incident and culprit was arrested and Justice was done to Valmekin people who suffered in the incident. AADHAS brings to light the evils of system as in case of Jammu&Kashmir,i.e.Constitution of India grants Citizenship of India after 5-years if you are born in Indiia.But according to article 35(b)of SRO, the Constitution of J&K has till date not granted citizenship to members of Valmekin Samaaj (in 1957,70-safai karamchari/Valmekin families),whom The State Govt. brought itself to serve the state at the time of crisis by promising them all rights of the citizens to them.leaving aside the elders even the children born and educated in the state have till date not been notified as citizens of the state.The number has grown from 70-families to a huge colony of 500 families in 2012 in the state.To bring this matter to the notice of State Govt. and Govt.of India and to agitate for the right of Citizenship,A press conference and a mass rally was organised by AADHAS under the leadership of Darshan Ratna Raavan ji for Vidhan Sabha Ghero (legislative assembly) in 2006, which was supported by all Valmekins throughout the country and even from the other sections as well as media. AADHAS has also been conducting seminars and workshops (cadres) for youth and adults from time to time regarding the different agendas especially for education, for enlightment about their rights and to prepare them to agitate for Justice.Mass rallies and Raath Yatras are also organised under the banner and leadership of AADHAS in support of justice and protest of evils prevailing in the Indian society.For example,the Raath-Yatra of Haryana in 1997; Mass cycle rally of Amritsar in 1986; Raath-Yatra of 2006 from Amritsar to Delhi (Adhikaar-Yatra) for awakening and enlightment of Dalit of Dalits concerning their rights (Quota with in Quota). Adding more jewels to the efforts of AADHAS,research work is going on the existing Literature pertaining to the Aadivanshi and the day is not far when the, Truth will Triumph, i.e.the preachings of AADHAS,their thought,the customs and rituals ,the Dharm Samaaji names will establish their link with their historic origin. Separate Reservation for Valmekin-Safai Kaamgaar Samaaj according to the proportion of their population. This reservation to be available in education, employment, professional and political institutions and should be implemented properly in both Govt. and non-govt. (private) sectors.In this context, AADHAS in addition to this effort is also fighting a case in Supreme Court. Govt. should formulate a scheme to bear the whole expenditure for the education of Children of Safai Kaamgaar samaaj. This scheme should be implemented in all the educational institutions falling under the administration of both State and Central govt. including, medical colleges, engineering, computer sciences, management, IITs, law, etc.and other professional courses which involve huge Fee structure. Govt. should also bear other expenditures in addition to the fee like,hostel ,laboratory and library charges.This policy should be available & implemented in both Govt. and non Govt. Institutions. Tendering and contracts involving the work of sanitation(sweepers) including Sewerage workers should be banned both in Governmental and Non Governmental departments with immediate effect.Sewerage workers who die in the sewerages or suffer infectious diseases(due to sewerage job) resulting to deaths, on service, should be given Rs.10 lakhs as compensation, after the deceased any of family members should be appointed to Service(post) according to the his/her qualification and the concerned officer should be booked under the charges of murder(if in case proved responsible for death in any ways). Scheduled Castes Attrocities Act be made more stringent and be freed from administration of State Govt. and High Courts.Reservation should also be made available in High Courts. Safai Kaamgaar people/Samaaj to be written with, called by and addressed with dignified name i.e. Valmekan samaaj. Reservation be made compulsory in private(institutions) sector and in case of violation, the licences of the concerned should be cancelled.Reservation be ensured and implemented in Governmental tendering business and be pre-determined and specified. Educational standard be equal & one.All boards (central & state) be derecognised and there should be a single board of education. All private schools should be shut down. Taking into consideration the belligerent nature and security of the Dalits (scheduled castes), reservation should be ensured in defence sector (army, police,navy & airforce). The Scheduled-Caste certificate issued be valid throughout the country.i.e. Category certificate issued in one state should be recognised & valid in the all states of country. Sulabh internationals should be dissolved immediately and the toilet complexes should be given to the uneducated youth of the safai Kaamgaar samaaj under the self employment scheme.Till date the profit(money) gained form sulabhs have been accomodating in the safes& pocket of a Brahman called Bindashveri Pathak alone.The shame and disgrace of the work of sanitation have been born by the Valmekin/Safai Kamgaar samaaj but the benefits are being reaped by a Brahman.To how far is this justified? In all the universities in India, the first appointment to the posts of Lecturers, Professors and all other posts also be brought under the reservation category criteria. Article 35 (b) of SRO of J&k constitution should be immediately withdrawn and declared null and void. According to this article the educated youth of Valmekin-Safai Kaamgaar Samaaj can only apply for Sweepers post and no other post in Govt. services despite being educated. The allocation/grant of land both in Cities(urban) and villages(rural) should be done according to the Caste proportion. 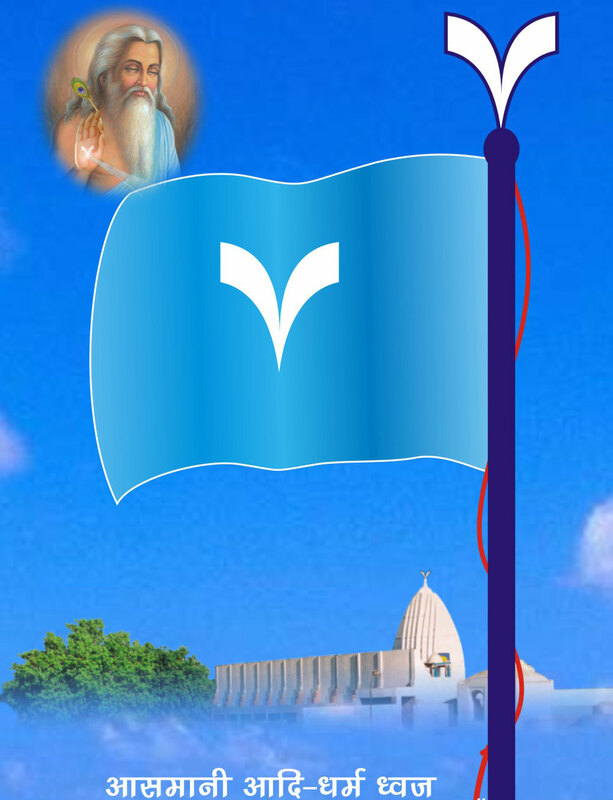 Valmekan-Safai Kaamgaar Samaaj should be granted representation in accordance with their propotion of population in main leadership of all the political parties (state/regional and Central) because till date Representation of Valmekan samaaj in the National Executive body of all political parties is zero. The population of Safaikamgaar Samaaj (Valmekin Samaaj) altogether in India is 9-10% but their share in education, employment and politics is not even 1%. Taking into consideration these reasons, a Mahadalit Commission on the sidelines of Sacchar Commision should be constituted to know the real status and reasons for their Social, Economic, Educational and Political backwardness. Once the three objectives are achieved i.e. elimination of illiteracy, drug addiction and superstitions,'AADHAS' ultimately aims to establish the AADI DHARMA.The Dharma(Religion) that existed since the day of creation of this universe and is Immortal like Srishtikarta Valmeki Dayavaan .The Dharma that was the Religion of the first human.The Religion of HUMANITY (being human) and is free from all evils.To built a human character just as it was in pre-historic times,when early man used to quench his hunger by plucking and eating fruits but never assimilated leaving it for other fellow beings to sustain their life. When being human meant selfless service. To establish the moral character/values as they were. At the begining of this civilization,in pre-historic times when early men/women roamed about naked but still they had no bad intentions, when morality was everything. The Human whose heart was pure, free ofl anger,hatred, enmity , jealousy, greed,lust and pride. The Dharma/Religion/Morality that is preached and mentioned in the Yogavishishttha written by Yogeshvar (Lord Valmeki) and is to be achieved by Purshaarth (the Selfless service). The same was achieved and preached by the long lineage of the Aadi-icons starting from Mahamuni Shukracharya, Maharaja Shankhchoor (Jalandhar Rakshas), Maa Vrinda, Maa Shabri (Shiviri-Bheelani), Vee Bali, Maa Keksi, Mahatma Raavan, Mahamuni Shambook, Maa Tungabhadra, Maa Sulekha, Veer Eklavya, Veer Babreek, Kabir Sahib, Sant Ravidass ent. Thus,AADHAS motivates , inspires, prepares to establishes The Truth, “The AADI DHARMA” and guides us to move from Darkness towards Light to achieve Moksha (The Ultimate Goal).